He left a widow and two daughters. Mr. Weale Joined the Standard Motor Company at the age of 16 in 1914. Two years later he became the youngest foreman ever appointed by the Company. He became an executive at the age of 34 and held posts of machine shop manager, assembly manager and aircraft manager. As aircraft manager he was largely responsible for Standard’s production of Mosquito and Oxford aircraft, Beaufighter air frames and Bristol engines, in Coventry during the last war. In 1950 he became the Director responsible for Standard’s post-war production of Vanguard cars and tractors at Banner Lane. He also negotiated a new wage structure for Company employees, the basis of which remains in operation today. 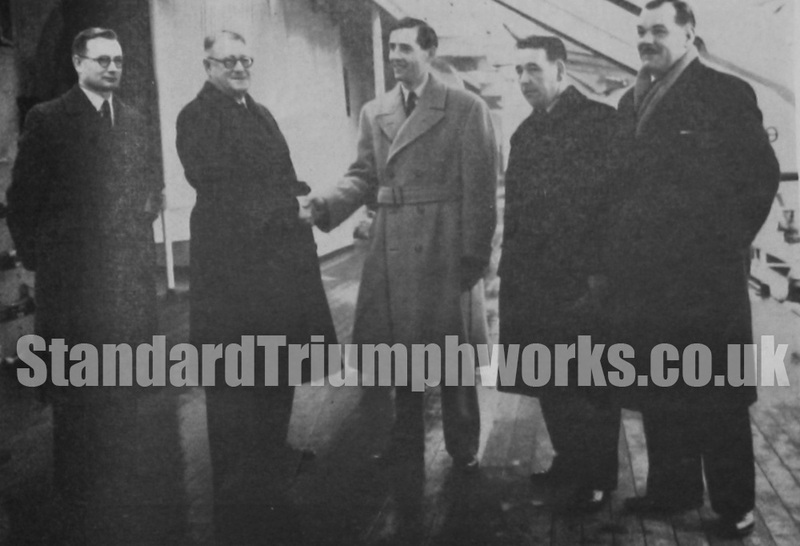 When Standard was reorganised in 1959 he became a Director of Standard-Triumph International in charge of production and personnel. He held this position until 1961, when he retired.